The ability to view the same data in various ways is a project management secret weapon. Your team includes different people, specializing in different areas, who are more than likely working on different tasks. It’s a logistical nightmare and the reason it’s imperative that the right tools, technologies and processes are implemented. Normally, each member of your team employs a different collection of apps to help with their specific tasks. But as we all know, trying to manage a team when everyone’s working with a different tech stack can be an unholy, inefficient mess. Instead of trying to share or sync information across disparate applications, you should be using a tool that will allow you to view your key project information and assets any way you want. In essence, this means that any member of your team could treat your tool like their own personal app; by choosing to work within whatever view best suits their specific workflow. One of the newest management programs on the market today, Transpose, lets you build and customize how you collect and work with your information easily and efficiently. Here’s an inside look at the essential views for teams and projects. By now, we’re all pretty familiar with the benefits of implementing Agile methods to projects — especially kanban. Kanban does double-duty as an efficiency-boosting project management view since it can be used by individual team members to define their personal workflows, as well as used to map out an entire project. You get better communication because your kanban board functions as a public message board – avoid bottlenecks because you can see exactly where people are at in a particular stage of development. 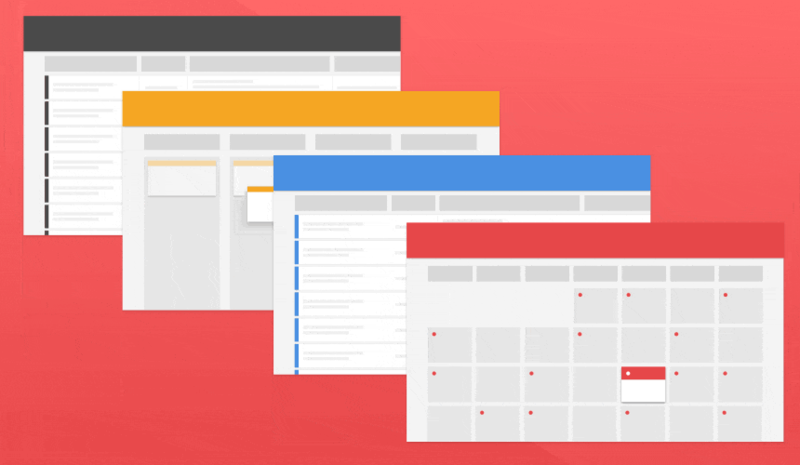 Transpose lets you lay out a kanban board in numerous ways. If a team member cares more about fixing bugs than working on features, they can organize their board to display projects that way (and even add search filters to only see what’s assigned to them). With this capability, each member of your team is able to visualize their kanban board as they wish. The higher the level of customization, the more useful your tool is going to be – helping individual team members prioritize their own goals while still working with the exact same up-to-date, fully synced information as everyone else. You can’t get away with not using a calendar. The problem is, each team member uses a separate calendar, and a shared calendar might never exist. Dates don’t always get updated and a lot of time is wasted entering the same information into different apps. Your team needs a tool that will generate a calendar that can display all your existing project information. Imagine if all your key deliverables, deadlines and meetings were viewable by every member of your team — on the exact same application they use for everything else. With Transpose, your calendar is always updated and easily viewable by your entire team. Because this tool functions as the digital hub for all your information, you have the freedom and the ability to display it however you like. Transpose takes customization even further, allowing you to set your calendar to display any date you decide to track. This particular project includes date info for task start dates, task meeting dates, or task due dates. Information is completely accessible and visible for the whole team, so everyone can optimize the view for their own tasks. Tables have been around forever. And while people sometime rely on them too much, they’re still a useful tool for getting a dense, bird’s eye view of your data. However, you don’t want to keep importing and exporting data between spreadsheets and other apps –having multiple copies of a dataset adds effort and allows a bigger margin for error. Transpose allows you to simply switch your view with two clicks, providing a number of advantages while saving effort and eliminating inconsistency. Having the ability to edit a field for a bunch of different projects all at once is a pretty valuable time-saver (it’s also a key feature if you want to be able to update your information quickly). If you need to update the status of all your projects table view lets you to do this quickly, without ever leaving the view, simply by clicking on a cell and updating the status. If you’re in charge of monitoring budgeting and spending for your team, a table view is an absolute necessity. Thankfully, there are a lot of different ways you can organize your table, as well. Having your team in the same app and on the same page — what’s been accomplished, what needs to be accomplished, who’s responsible for what – not only saves time and money, but helps connect these moving parts into a cohesive story. Doing it all in one application, with options for viewing data, eradicates team silos and empowers individual team members to direct their own processes. Transpose helps people work apart so they can work better together.